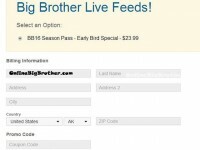 Big Brother Spoilers > Big Brother > Big Brother 16 LIVE FEED Early Bird Discount Pricing is NOW AVAILABLE! 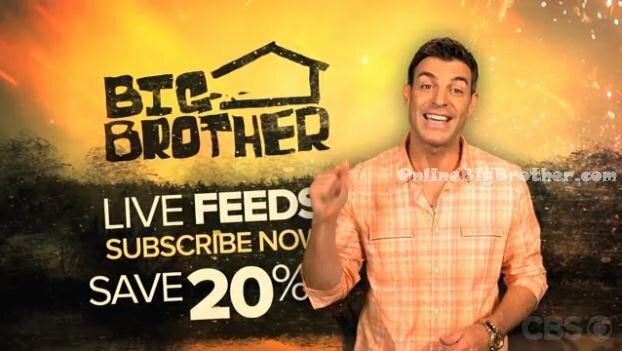 The première episode of Big Brother 16 is just over a month away, and special EARLY BIRD discount is now available!! This is the earliest CBS has ever offered the live feeds and longest time to take advantage of the early bird discount offer! Last season we were able to offer you the early bird special pricing 3 weeks in advance of the première and this season they’ve been opened up over a month prior to the première. AS of today the BB16 Live Feeds are NOW available for all of us CRAZY Big Brother fans to sign-up for our summer obsession! ALSO the LIVE FEEDS are once again open to Canadians!! Our best offer! Get NEW and EXCLUSIVE content before the show starts. Subscribe today for this limited time offer! Live Feeds will start streaming June 26th! Take advantage of this LIMITED Time Offer before it expires on June 26th! TRUST me you won’t regret it! It’s the CHEAPEST Summer entertainment you can get for LESS than 30 cents a day! 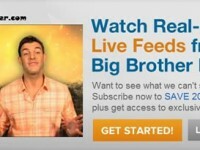 By signing up for the Big Brother 16 live feeds through OnlineBigBrother.com you are helping support all the live feeds updates we provide you throughout the entire season. The live feeds cost the same no matter where you purchase them but SIGNING-UP through us doesn’t cost you anything and you help support a site that you love as we receive a small commission for each sign-up. The Big Brother 16 live feeds offer 24/7 Real-Time Live Feeds with the same unscripted, uncensored, unrestricted access you crave. The Live Feeds are available across multiple devices and platforms. At home or on go, the Big Brother house travels with you – anytime, anywhere. 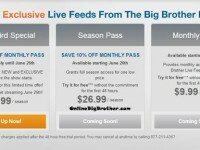 Watch Exclusive Live Feeds from the Big Brother House! Subscribers-Only Vote: NEW and EXCLUSIVE for Live Feed subscribers, you can influence what happens in the house! Cast your vote for weekly household happenings! Houseguest Tracker: NEW and EXCLUSIVE for Live Feed subscribers you can now keep track of your fav houseguest with these stat cards. Get a quick, detailed rundown of their current status, gameplay stats, wins and losses, major activity and more! As always the live feeds will feature multiple camera views with four separate camera feeds that cover the entire house to make sure you don’t miss a thing. The best part about the big brother live feeds is the Flashback feature just in case you missed any of the action you can jump back and watch the Big Brother Archives. This flashback calendar makes it easy for you to access Live Feed moments from any day during the season. In addition to being able to rewind and relive a great moment on the feeds. 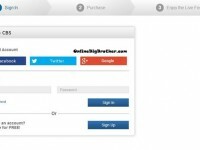 Signing-up is FAST and EASY! Subscribe now and SAVE 20%! Around June 9th Media Day – Where a select number of media personalities enter the Big Brother house to check it out and play their own shortened version of Big Brother Competitions/Evictions. Around June 17th/ 18th – We expect the photos of the newly designed Big Brother house to be released along with the Bios of the new cast of Big Brother season 16. Around June 21st / 22nd – The cast of Big Brother 16 move into the Big Brother house. June 25th – The Big Brother 16 Première airs at 9pm on CBS with the Big Brother Live Feeds being turned on shortly after the episode ends. In addition, the first Big Brother After Dark episode will air at 12pm on TVGN. Any word on geo-blocking? They aren’t going to pull that crap again, are they? Scratch that. Didn’t see it mentioned above. No thankfully not! The live feeds are open to people subscribing from the US, Canada and Australia. Thanks for posting this deal Dawg. done. thanks for all your work. we can always hope these feeds are not as painful as last summer? right? I just bought mine today and the total was $23.99 … There weren’t any other fees charged. Yes, by clicking any of the live feed links on the site you will be helping support us. Thank you for asking and for your support! ;) We appreciate it! Thanks Dawg…I am all signed up and look forward to the new season and OBB!! Great job! We can’t wait either.. its going to be another crazy summer for sure! according to evil dicks twitter some former house guest are calling him for an alliance? im guessing the twist will be some former house guest returning? maybe all star 2? i would love to see an All Star show this year. WTF!! Live feeds in Canada are FREE!! Oh well, there are nice peeps that keep us informed with play-by-play info. Thanks to all those peeps! Cheers! It’s always a great summer with BigBro! Trying to sign up for the feeds,but it keeps asking for a coupon code?? ?/What is it? ?Thanks for all your hard work.Love this site. I’ve heard this happening to a couple of people where even though you leave the “promo code” blank like you should it doesn’t let you proceed. can two people watch live feeds? like friends share an account? we never got live feeds and want to get it together?